Whether you’re an absolute newbie or you’ve been running for ages, it’s always good to find running tips that reduce the chance of injury and reduce wasted energy. 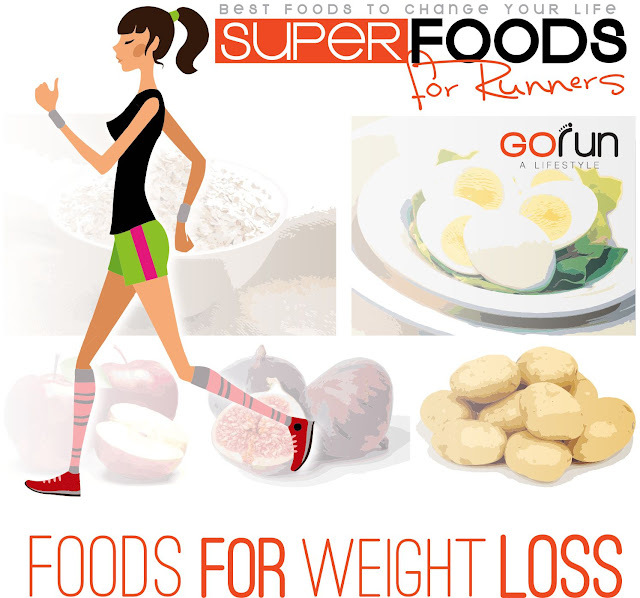 As anyone who runs for exercise can say, there’s more to running than simply speeding up a walking pace. Runners can maximize their exercise by adjusting the body to proper running form. You’ll want to check out these 9 tips to improve running form. And form is important. Runners without proper form are more likely to injure themselves—and you don’t want a shin splint or plantar fasciitis to sideline you. Poor form, often in the form of clenched muscles, also wastes energy, which means you may not be able to go as far as you could or you hit the wall earlier than you might have otherwise. As you incorporate new running tips into your routine, be patient with yourself. It can take time to adjust form so that it becomes habit. Another of the most helpful tips to improve running form is to ask an experienced runner to observe you as you run. He or she may be able to pinpoint bad habits you weren’t even aware you had. 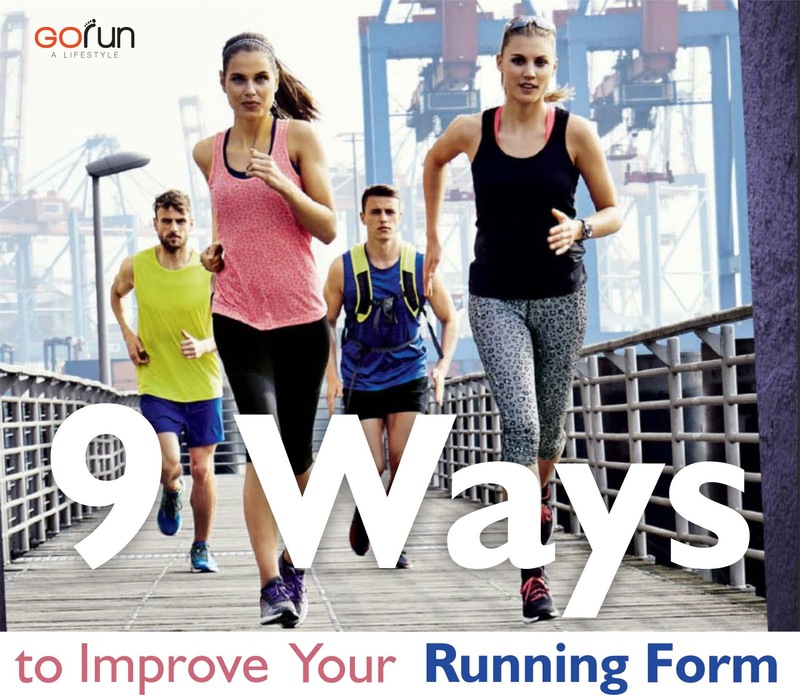 It doesn’t matter if you run around the neighborhood or participate in marathons, improving form will make you a better, more efficient runner. We’re sharing these running tips so you can make the most of this calorie-burning exercise—safely and efficiently. 1. Hold that head up. Just as your brain directs the body, your head directs the posture. Instead of gazing downward toward your feet or the road, shift the gaze upward as though you’re scanning the horizon. This pulls your back into a straighter position. Be especially aware of gaze while running uphill; many runners tend to look up, throwing the back out of alignment. 2. Unclench the jaw. If you’ve ever taken a yoga class, you may already be familiar with this concept. Tight jaw muscles tend to cause tightening in the back. Pay attention to how much tension you’re holding in the jaw. 3. Relax the shoulders. Holding your shoulders up toward the ears is a surefire way to waste energy and strain muscles. Keep the shoulders loose and make sure that they’re aligned over the hips. Shoulders that are bent forward or slouched throw alignment off and increase the chance for fatigue and injury. 4. Let arms swing naturally. When you’re walking, the arms normally move in an arc between the hip and the center line of the body. Improve running by adopting that same natural motion for arms; the only difference is that the arms bend at the elbow instead of hanging straight. 5. Loosen that Kung Fu grip. It takes energy to tighten muscles, so don’t fritter away what energy you have by clenching fists tightly. A fist that’s balled up like it’s ready for a fight tightens muscles in the arms and shoulders. One of the simplest tips to improve running is to relax the hands as though you’re holding a breakable object, like an egg—no tighter. 6. Engage abs. One of the biggest causes for lower back pain in runners is that the ab muscles are not strong enough to support the back. Build those ab muscles by engaging them as you run. Imagine pulling your belly button in toward the spine. 7. Place feet properly. With each stride, land about mid-foot and roll forward toward the toes. This produces a lighter stride that mimics running over the ground rather than driving into it. Landing on the heels means the stride is probably too long, and landing on the toes often triggers shin pain. 8. Relax the toes. Keeping toes clenched as you run is one way to waste energy and put undue stress on the foot. Roll each foot smoothly off the ground to help keep clench-y toes in check and to improve running. 9. Check form mid-run. Minimize the chance of injury and maximize energy levels by doing an inventory of your form at least once or twice during each run. You might find that you start out with proper form, but as you near the end of a run the body tires, making it easier it to tense muscles or fall into bad alignment.